What it is about springtime that makes us want to clean and start fresh? If you’ve been around the blog for any length of time, you’ve probably heard me say a hundred times how obsessed I am with decluttering and simplifying. 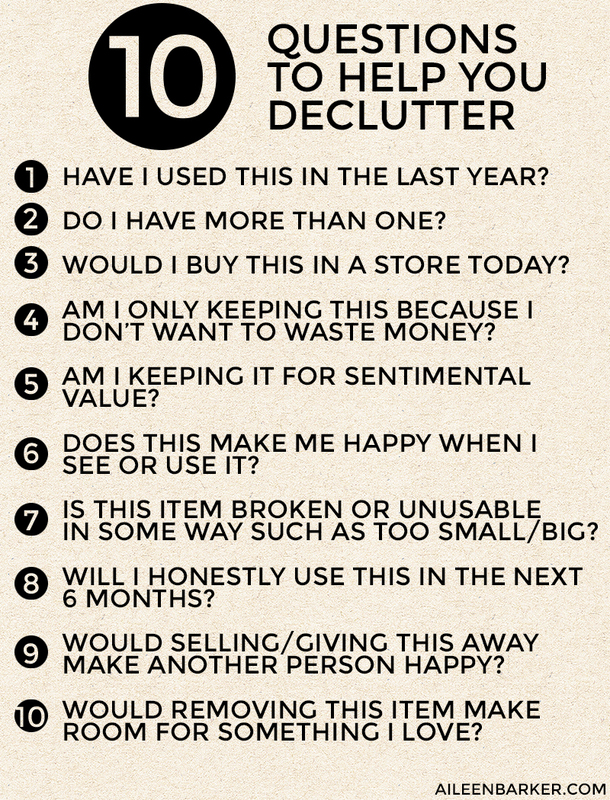 Having less stuff around the house means less to manage, less to clean around, less stress and more time! Even though I’ve been consistently selling, tossing and donating excess for the past few years now, more stuff always finds it’s way into my house. Am I the only one? Think of it this way: we constantly bring things into our homes whether it’s mail, items we bought, receipts, gifts, etc. without thinking about it. But it takes thought and effort to get those items out, so of course it’s going to build up! I’d be surprised if you didn’t agree! 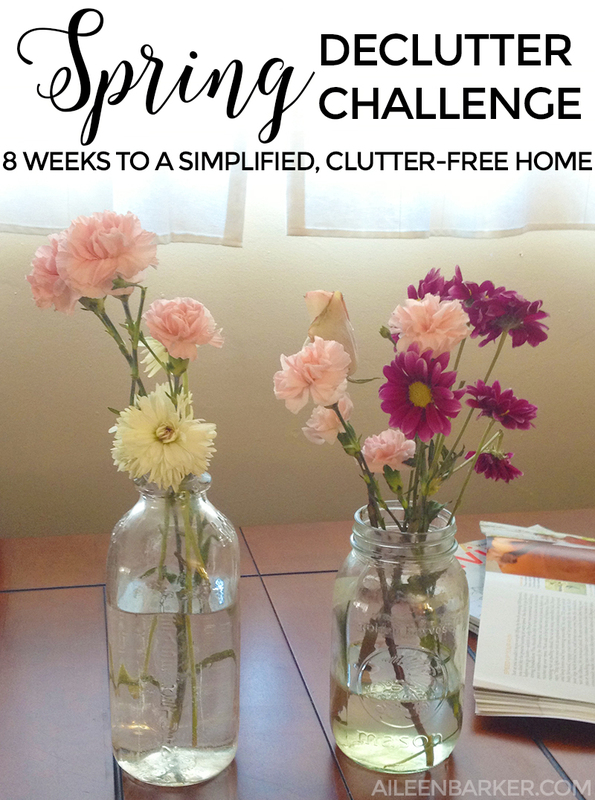 This spring I am excited to host a Spring Declutter Challenge! It’s an 8 week challenge starting on Friday March 20th, 2015 which is the first day of spring. Every Friday for the next 8 weeks I will be posting different areas of the home to focus on, some tips and tricks for decluttering, what I got rid of the week before, etc. I would LOVE for you to join me and let me know how you’re doing in the comments. If you blog feel free to use the image above, just make sure you link back to this post so your readers can join in on the fun. Of course, if you’re reading this after we have begun or even finished the challenge you are welcome (and encouraged!) to follow along on your own time. Throw it on your schedule for the next 8 weeks and watch your home become more simply, peaceful and easy to manage. Make sure you save this page because as each week passes I will link to the corresponding posts above! I will be excitedly sharing my progress and hope that you will keep me updated on your results as well! Make sure you subscribe to the blog via RSS or bloglovin so you don’t miss a post.